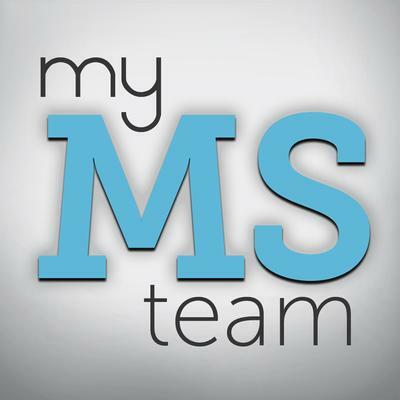 MyMSTeam is the fastest growing social network where thousands of people with multiple sclerosis have joined to connect with others who understand what living with MS is like. Share daily ups and downs, advice, and meet others who share symptoms, or who can share side-effects they may be experiencing with certain drugs. www.MyMSTeam.com is a completely free site. Good job on creating a site where people with MS can come and find one another. When you deal with MS, a chronic condition, it can be challenging to get out and have a social life because of all the symptoms you deal with on a day to day basis. With sites like this available, it's a little easier to not become isolated. So many MSers tend to do this if they live alone or family and friend support is not like it used to be. Thanks for providing a place for people with multiple sclerosis to come and share their experiences and advice living with MS.
A couple of questions for the poster. Is MyHealthTeams another name for the site? And is it a site for just people with MS or can caregivers join as well? If you an MSer and happen to join this site, please come back and let us know how you like it. That will help future visitors know that it's a place they can trust. Thanks again for making My MS Teams available! This is the kind of website that will make people more lively. They will not feel like they are left out. They definitely will be more happy when communicating with others and this might even improve their conditions. I would like to know if you had taken the drug Avonex? With good or bad results? This medicine (they claim) is a MS disease modifying drug. According to the Sylvia Lawry Center in Munich Germany, Pros. Elder of the Center writes a damming indictment of the clinical drug trials. He said they did their own trials of 1000 MS patents over 30 years and found that relapse are unrelated to long term disability. They paint a very ugly picture. I urge you to read to read his findings. Also a report that came out last fall by the Journal of American Medical Organization did a study on Avonex and called it edit practically useless. This article was in MSF magazine and internet site. MS is a devastating disease and it doesn’t need to have its victims suffer anymore by distorting the facts. Pease help me clear this up. Who is telling the truth? I hope that I have taken Avonex for good reason not a lie.